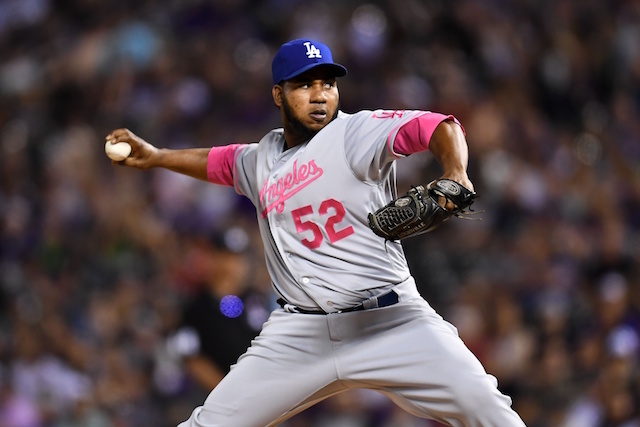 With Chris Hatcher now a member of the Oakland Athletics, Pedro Baez stands alone as the most-scrutinized Los Angeles Dodgers relief pitcher. Since making his MLB debut in 2014, the hard-throwing righty has often been trusted in late-inning and high-leverage situations. Such was the case in Monday’s series opener against the Pittsburgh Pirates, when Baez inherited a runner at first base with one out in the bottom of the eighth. The Dodgers erased a three-run deficit to take a 5-3 lead the previous inning. Baez promptly allowed an RBI double to Josh Harrison, then walked Andrew McCutchen and David Freese to load the bases. A fielder’s choice brought in the tying run, and Baez was removed after walking John Jaso to load the bases a second time in the inning. Baez is 3-2 with a 1.90 ERA, 93.4 percent strand rate in 52 games, while holding opponents to a feeble .156/.260/.391 in high-leverage situations. On the surface, it’s arguably the best season of his career. Baez’s peripherals tell a different story, however. 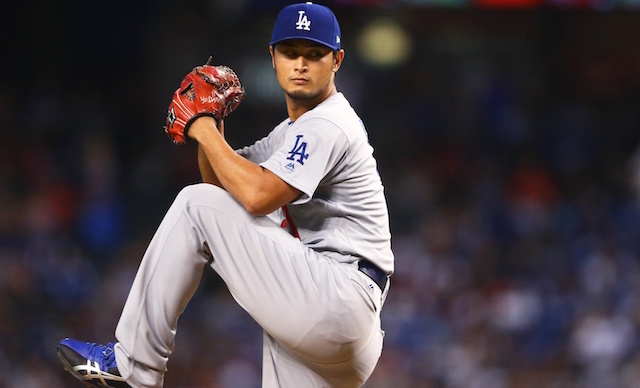 His 4.00 FIP and 1.21 WHIP would be career-worst marks, and his strikeout rate has dropped from last season’s 28.1 percent to 22 percent in 2017. What’s more, Baez’s walk rate is up from 7.5 percent to 9.6 percent over that same span. Even with that, Baez’s night against the Pirates was a bit of an anomaly. It was the first time this season he issued three walks in a single appearance, and only the third time he handed out multiple free passes. Roberts has exuded trust in Baez on more than one occasion, and presumably will spend the next six weeks determining whether he should continue in the same role or be supplanted by the likes of Brandon Morrow.